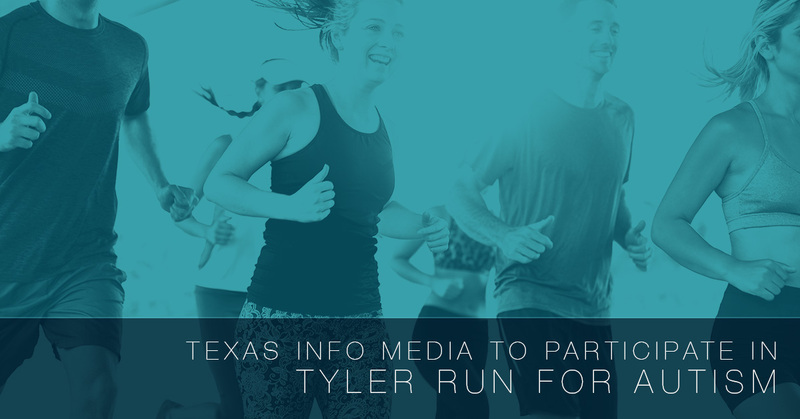 As a business and as an individual, Texas Info Media will be participating in the 2017 Tyler Run for Autism. This local 5k event began in 2012 with the purpose of raising funds to provide therapy to children on the autism spectrum in Tyler’s own Treatment and Learning Center for children with the disorder. Today, one in 68 U.S. children have an autism spectrum disorder. Autism has quickly become the fastest-growing serious developmental disability. It also costs a family $60,000 a year on average. Our owner, Steve Fairbanks, has a daughter with autism, so this is definitely an event that’s near and dear to Texas Info Media. Those putting on the event are excited to have El Charro on the Ridge as the presenting sponsor. Every last penny of the funds raised is given back to children enrolled at TLC or the Autism Response Team of East Texas (A.R.T.). This Tyler Run is set to take place Saturday, April 1 at Pollard UMC. Currently, individual registration for the half marathon is $60. The 5k is $25, while one-mile options range from $15-$20 depending on whether you will be pushing a stroller. Don’t fret if you aren’t a runner and still want to support the cause, as there is a ‘Sleep in and Support our Cause’ individual registration for $25. Below are some frequently asked questions that you can find on the event website. Parking – Participants are free to park along Clyde Dr., Frye Ave., Stanford St., and Bain Pl. Last-minute registration – Those interested in participating may register on race day beginning at 7:30 a.m.
What all is included in your packet pickup – You will receive your race bib, timing device, final instructions, safety pins for your bib, a t-shirt, as well as information regarding autism awareness, ABA therapy, and assorted goodies. Race times – Participants will have two hours to finish the 10k and one and a half for the 5k. Keep in mind that no participants are allowed on the course when the streets are open to vehicle traffic. Be aware that the water and first aid stations will close once the course closes. What else will be going on besides the race – Event organizers are encouraging participants to bring the whole family and make a day out of the Tyler Run. There will be a number of food vendors, children’s activities, in addition to plenty of autism-friendly and family-friendly entertainment. Texas Info Media is thrilled that several of our staff will be taking part in this event. We believe in playing an active role in the Texas community and giving back whenever we can. If you are interested in learning about the services we offer, click here to learn more. We can be your source for that luxury home theater you’ve always wanted. Our team offers incredible, professional home theater installation that can’t be matched elsewhere. Contact us today to see if we can be a fit in your upcoming luxury home cinema project.